AmApAc is proud to present you the latest from the legendary Neil Young. “Walk With Me” is the lead track from Young’s sonically arresting new album Le Noise. This collaboration with famed producer Daniel Lanois (U2, Brian Eno, Emmylou Harris) marks the first time the two artists have worked together. 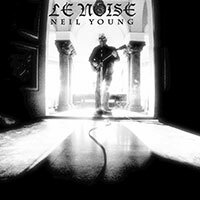 Recorded in Lanois’ home in the Silverlake area of Los Angeles, Le Noise features Young on acoustic and electric guitars with Lanois adding his trademark sonic textures. No band, no overdubs, just “a man on a stool and me doing a nice job on the acoustic recording,” as Lanois puts it.